Few things compare to snuggling up to something warm and cozy. If a husband, baby, or cute little one isn't available, the next best thing is a rice bag. We fell in love with these last year. I saw one at my friends and ended making them for every member of my family. Our rice bags have become my children's "lovey" toys. Bedtime is traumatic without them in the winter. Thankfully they can usually be found stuck between the bed sheets and the end of the bed. 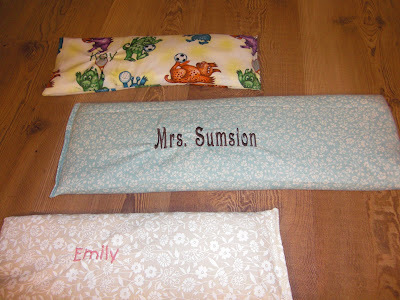 Handmade rice bags make a perfect gift for teachers and friends. The best gifts are always the ones we want and use ourselves. Ellery and Callista wanted to make them for all their friends. We like to add a personal touch by embroidering their names, but it isn't necessary. 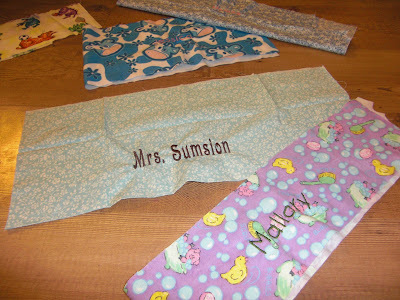 Gather fabric scraps. Ellery and Callista had a great time picking out the perfect print or pattern for each of their friends. Cut into desired shape and size. It doesn't matter. We make rectangles because they are easy. 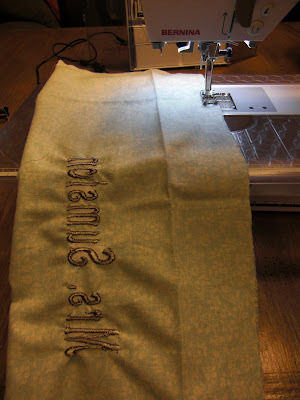 Embroider names if desired. 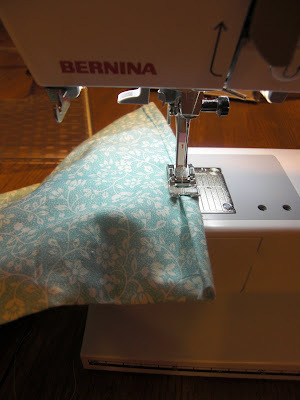 Turn fabric inside out and sew along 3 sides. Leave one end open to put rice in. 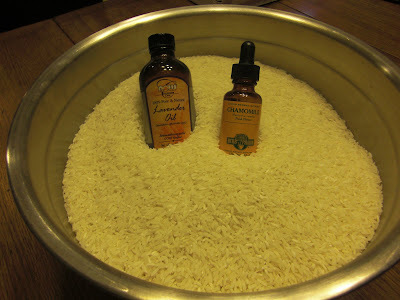 Add a few drops of essential oil to your rice. I like lavender and chamomile. It only takes a few drops. Brent thinks warm rice smells like "cat urine." Extremely unappetizing. I don't mind the smell, but the oils add some aromatherapy which is nice. Fill your rice bag about half full. Don't overfill. Turn under open edge and sew shut. Be sure to reinforce the corners. That's it. Easy. A large bag like the blue one shown above uses about 10 cups of rice. The smaller children's bags use about 5 cups. Heat in the microwave for 2-6 minutes.